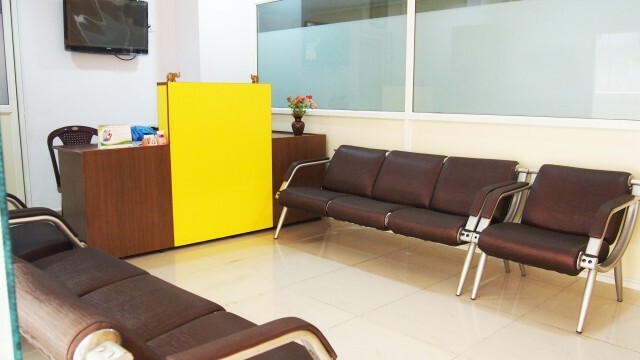 About Clinic – Sri Sanjeevini Multispecialty Dental Clinic is situated in the east of Vijayawada city; here we treat all aspects of cosmetic and restorative dentistry in a warm and relaxing spa-like environment. The practice is equipped with the latest dental facilities and technology to provide you with world class dental care and make your visit as comfortable as possible. Our cosmetic dentists headed by Dr Manne Sanjay Dutt are complimented by highly qualified master technicians, dental nurses and hygienists. Our team’s informal approach will definitely help to put you at ease. Our dental clinic consists of very good dentist in Vijayawada. Sri Sanjeevini Multispecialty Dental Clinic trusted for years for our premier services, quality care and highly affordable treatment. The name has and continues to bring smiles to a number of patients within and around Vijayawada.Our prime areas of expertise include cosmetic dentistry, restorative dentistry and general dentistry. Dr. Sanjay and his team of experts provide the best ever dental care using the latest technology. Be it simple tooth whitening, or dentures, or the latest in smile enhancing procedures, or porcelain restorations and veneers, or implant dentistry, you can look to us with confidence. We are a dental practice devoted to restoring and enhancing the natural beauty of your smile using conservative, state-of-the-art procedures that will result in beautiful, long lasting smiles! A standard of excellence in personalized dental care enables us to provide the quality dental services our patients deserve. Should a dental emergency occur, we make every effort to see and care for you as soon as possible. When you schedule an appointment, we make sure that your concerns get the attention they deserve from our professional and courteous staff. Infection control in our office is also very important to us. To protect our patients and ourselves, we strictly maintain sterilization and cross contamination processes using standards recommended. We pride ourselves in providing the care you need to keep your smile healthy. We thank you for allowing us to take care of your all dental needs and look forward to serving you. Make an appointment today….we’ll give you a reason to smile!